Lots of sunshine. High near 90F. Winds NNW at 5 to 10 mph..
Generally clear skies. Low 56F. Winds NNW at 5 to 10 mph. 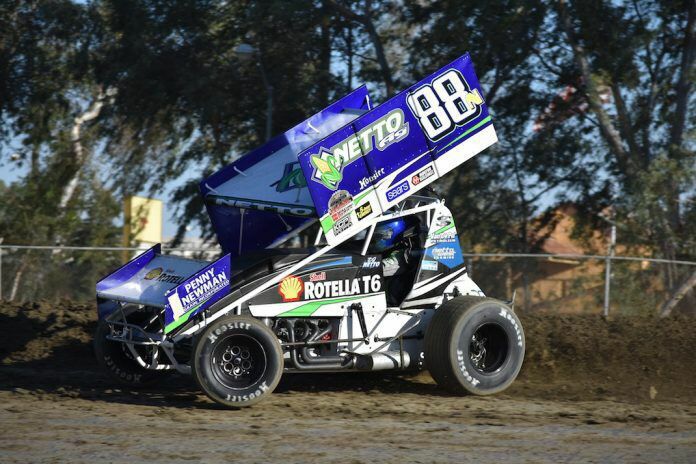 The inaugural Kings of Thunder series begins on Saturday in Hanford. DJ Netto (pictured) will take part in the new 14-race series. 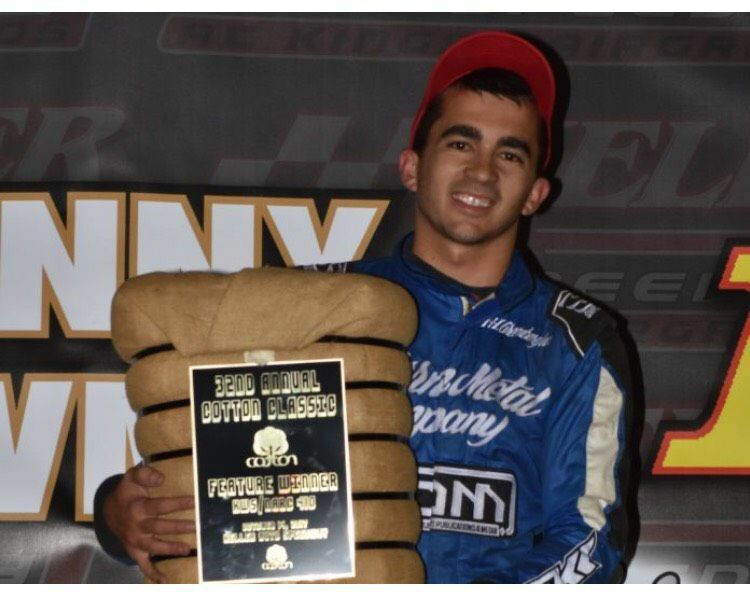 Mitchell Faccinto, the 2018 Cotton Classic winner and son of multi-time Kings Speedway champion Monte Faccinto, will also take part in the 14-race series. HANFORD — The green flag waves on a new chapter of dirt-track racing legacy in the Central Valley Saturday night at Keller Auto Speedway. For the first time, two of the Central Valley's most iconic, and enduring, dirt tracks, have teamed up to host a lucrative, conjoined, championship series. The all new Kings of Thunder Winged 360 Sprint Car series spans 14 races, between Keller Auto Speedway and The Merle Stone Chevrolet Thunderbowl. Round one of the inaugural King of Thunder campaign kicks off Saturday night at Keller Auto Speedway in Hanford. Eight events are scheduled to take place at Keller Auto Speedway starting with Saturday's opening round. From there the series shifts to Merle Stone Chevrolet Thunderbowl Raceway running alongside the World of Outlaws Saturday, March 9. The new series will be contesting for a $10,000 championship prize and to be crowned the inaugural “King of Thunder.” The series allows two throwaway races to accommodate local racers competing in traveling series. In all, there are only three total conflicts with other California series all year. For Thunderbowl Raceway, a standalone series is something it's never needed to rely on with the immense popularity of the events that do visit the track. However recent growth and popularity of upstart 360 series and the level of weekly competition at other California tracks, the move was best to take the Central Valley back to racing prominence. Central Valley standouts are expected to be out in full force, including multi-time Keller Auto Speedway winners DJ Netto and Dominic Scelzi,. Also expected is last year’s Kings Speedway track champion, Mathew Moles, and series runner-up Cole Macedo, who will be driving the infamous, Easton based, Tarlton 21. The series is also expected to be contested by the next generation — sons of former track champions as well. Of them are such as the likes of Tucker Worth, the son of former champ, Tim Worth. Steven Kent, son of four-time Kings Speedway Champion, Steve Kent. Mitchell Faccinto, the two-time defending Cotton Classic Champion, and son of eight-time champion, Monte Faccinto. It all begins Saturday night with round one of the inaugural Kings of Thunder Winged 360 series from Kings Speedway. In addition to the 360 Sprints will be IMCA sport mod Division, and the Western Race Saver 305 class. Pit gates open at 1 p.m., the ticket booth opens at 4 p.m. with hot laps on track by 5 p.m. and race action following at 6 p.m. For more information on tickets and all other updates visit racekingsspeedway.com.